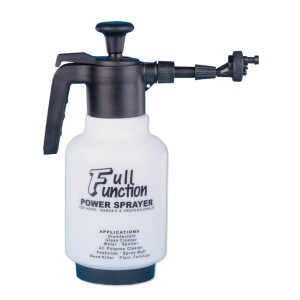 This multi-functional sprayer is one unit that allows you to mist, stream, fan, or foam spray your liquid. The 1.6 quart (1.5 Liter) volume sprayer has a translucent tank for easy viewing of the liquid level. Excellent for carpet spotting, restroom cleaning, glass cleaner, weed killer, car washes, and more. Watch this video for complete product demonstration.